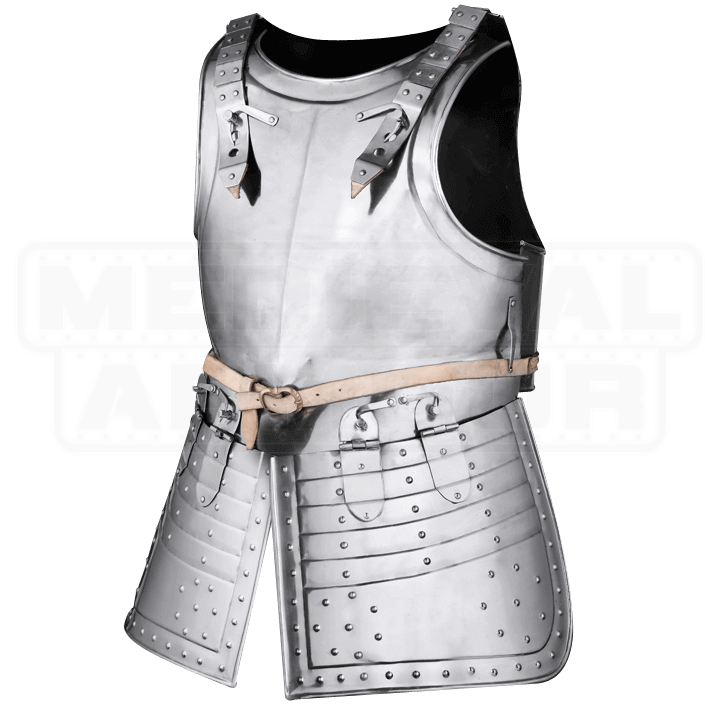 Use the Pikeman Cuirass as the base for your next historic look. 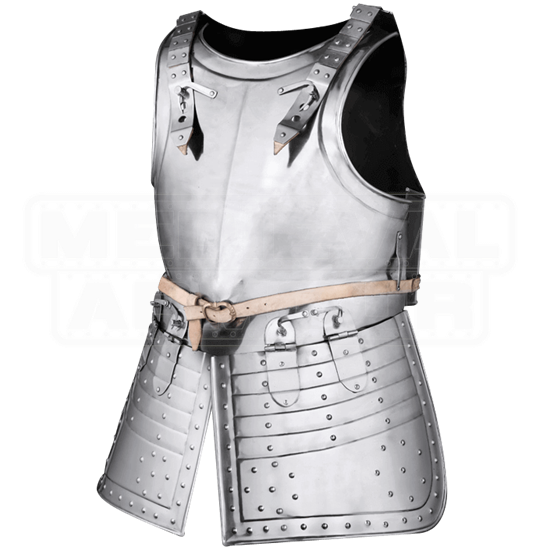 Including a breastplate, backplate, and attached tassets, this partial plate armour set offers great protection alongside its classic and versatile medieval style. The breastplate and backplate, both largely unadorned for adaptable outfit possibilities, are attached at the shoulders via metal covered leather straps and can be secured at the sides with a belt. Decorated with grommets, the tassets feature a distinct layered look and protect the upper legs. They are attached at to the breastplate with metal hinges. The evolved form of the medieval kettle hat, the morion is often associated with Spanish conquistadors but was also commonly worn by Renaissance infantry. 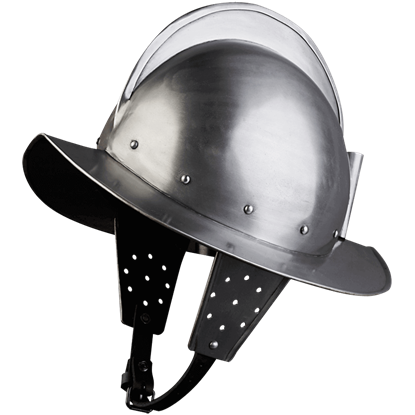 For your next historical soldier look, try out the Rodrigo Morion Steel Helmet.